Karl Wall, the box-owner of Crossfit Elviria, is giving us a little insight into what happens at his BOX! Enjoy another episode of our Europewide BOX interviews. 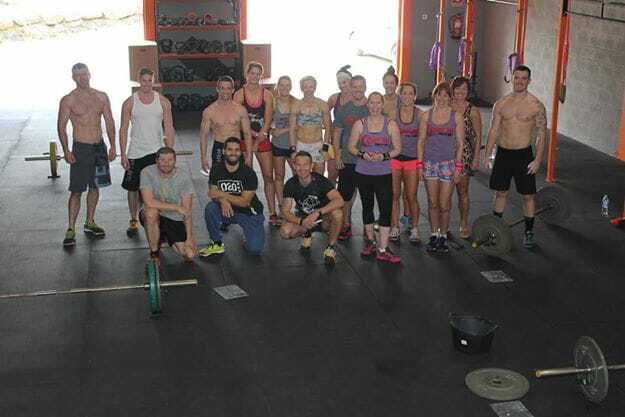 A friend who came over to see me on holiday, introduced me a few WOD’s. I was hooked. I run CommandoFitness Personal Training Services on the Costa Del Sol for 6 years now. I got hooked on CrossFit and at the same time also had a burnout from regular work. I took a break from personal training and started escorting vessels through the high risk Indian Ocean to recharge my batteries. During my new adventure my partner gave birth and I didn’t want to be away from the baby. So I did CrossFit Level One license and opened a box. It has been the best decision I have ever made. I’m not going to say that my box stands out from the rest. I think that is an insult to the surrounding boxes who also have a high level of experience and are very good friends. All I have say is try the boxes nearby you and see which one best suits your needs. Currently we are running at 50-50 males and females. Our clients range from 17-65 years old. We have a competitive team which started training 8 months ago. It’s important to get the movements right before pushing our athletes too much. Currently no, but in the future we would like to have strength and conditioning club. We tried it and it didn’t really work. It’s Marbella, Costa Del Sol. When the sun’s out, our athletes like to have a few glasses of wine. Our problem is that the sun’s out every day. 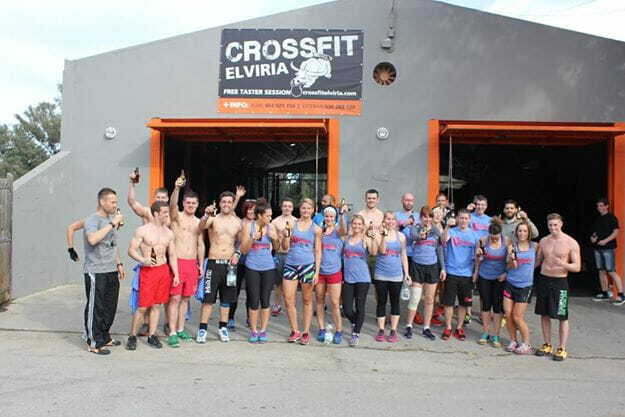 Every beginner to CrossFit Elviria must complete a 6 hour On Ramp Course run over two weeks. At this class athletes are taught the basic Crossfit movements with a PVC bar. First we work on movement, second on consistency. Once we have the first two under your belt, then we move on to intensity. After that you join in for the Crossfit sessions, but we still keep an eye on you and everybody else. We had a small Throwdown in March 14. I think we had around 150-200 spectators and 20 competitors. The surrounding boxes are all very friendly. We like to keep in touch and once a month we train at each other’s box. This is very important – to work with each other, rather than against. Getting the Crossfit name out there.